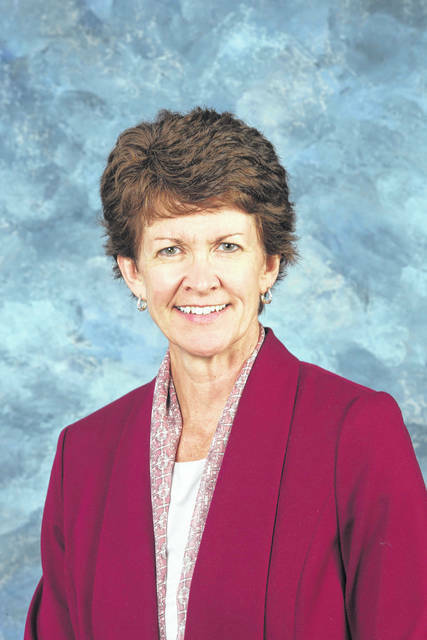 SIDNEY — Appointed to serve an initial three-year term as Wilson Health’s newest trustee member is Marian Spicer. Spicer has served as executive director of the Community Foundation of Shelby County since 1999. Prior to the Community Foundation, she served as president of the Sidney-Shelby Chamber of Commerce for eight years. Spicer is a graduate of Fort Loramie High School and holds a Bachelor of Arts in Social and Industrial Communication degree from Wright State University. She also serves on the Board of Directors for the Wilson Health Foundation. Spicer was the past president of the Sidney Rotary Club and served as past chair of the S&H Products board of directors. She is a member of Sacred Heart of Jesus Catholic Church and served as past chair of the parish council. Spicer lives near the Anna area and has three adult children. Other board members include Devon Beer, Freshway Foods; Rudy Keister, Ruese Insurance; Doreen Larson, Edison State Community College; Dr. Robert McDevitt, Wilson Health Medical Group; Tom Milligan Western Ohio Cut Stone; Dr. Eric Prenger, Wilson Health Medical Group; Tom Sheehan, Emerson Climate Technologies; Jason Stiver, Ferguson Construction Company; and Tonya Thieman, attorney.